Louis joined Fults Commercial Real Estate as an Associate in 2010. Focused on Landlord Representation, his responsibilities include project marketing and leasing, financial analysis, business development and detailed market research. Currently in his fourth year as a licensed real estate salesperson, Louis’ enthusiasm and drive is a tremendous asset to Fults Commercial. Louis is a graduate of the University of Kansas, receiving a Bachelor of Science Degree in Communication Studies with a Business Concentration. While at the University of Kansas, he served in multiple leadership positions, including Recruitment Chairman, Intramural Chairman, and was elected representative on the Greek Council. 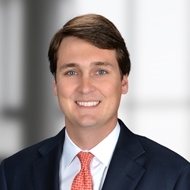 Born and raised in Dallas, Louis interned at several area businesses engaged in residential real estate, mortgage lending and the oil and natural gas industries. Additionally, he a volunteer at Scottish Rite Children’s Hospital.